Happy Friday crafty friends! 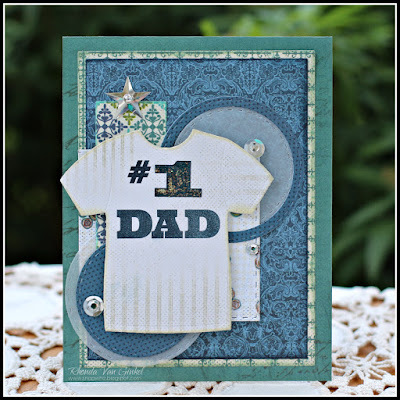 It's Rhonda here today to share with you a bit of Father's Day inspiration using some of our newest papers, Earth Wind and Fire. For my card I kept it very basic and clean in design. 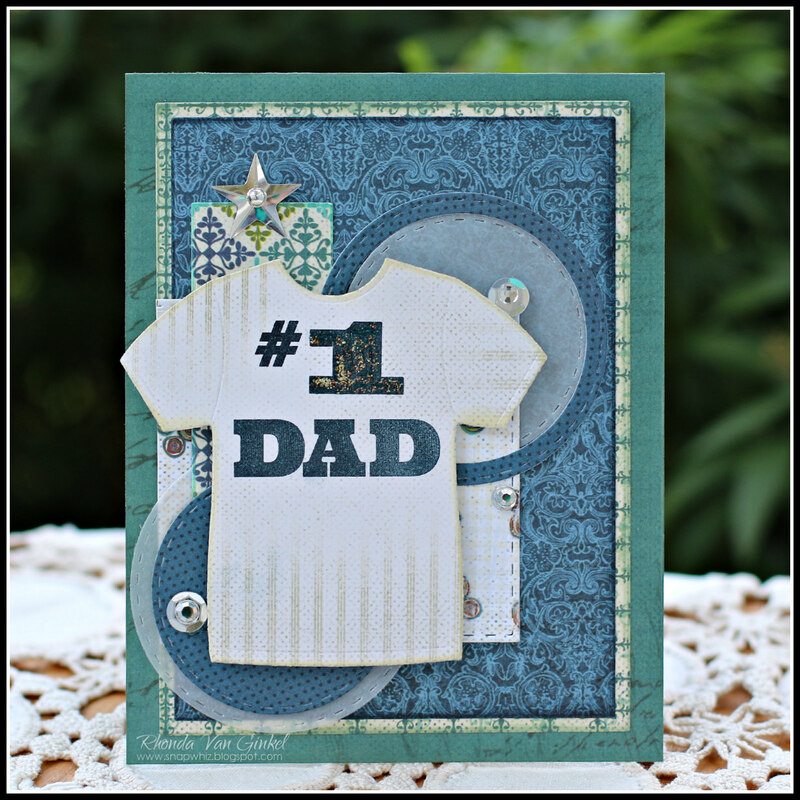 I liked the geometric shapes for the background, then added a few simple sequins and gems to add a bit of interest. 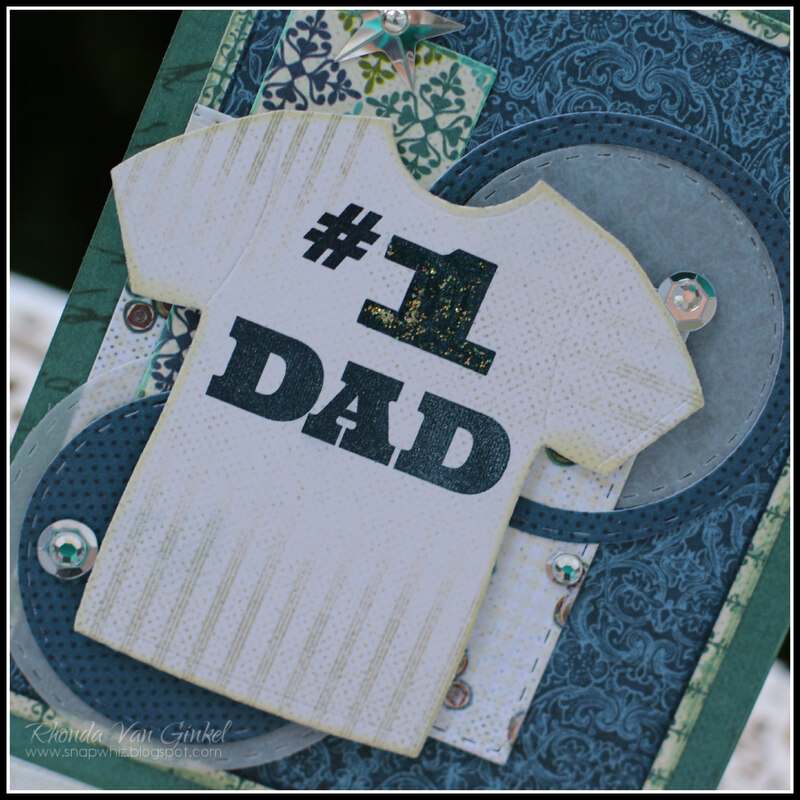 The t-shirt shape was die cut, then stamped using Navy PowderPuff Chalk Ink. Once dry, I added a bit of Stickles to the number one. Thanks so much for stopping on over today! Have a fabulous weekend!! !